Learn these sensational techniques and tricks to induce a hypnotic trance without your subject's awareness! This revealing manuscript tells the author's jealously guarded methods for hypnotizing difficult people. Use these techniques to enhance your existing skills, or to add an entertaining stage hypnotism demonstration to your act. 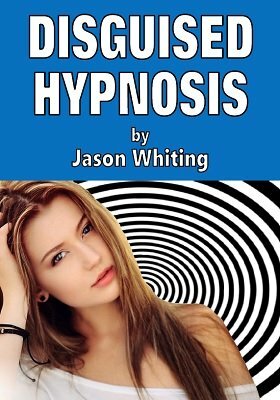 Also revealed, for the first time in this ebook, is Jason Whiting's deceptively brilliant "Sleeping Soda" technique for inducing hypnosis. This can be performed one-on-one or in front of an audience. How to Use the "Trance-Fer Chart"
All this and more. No theory, no "pipe dreams", no stooges, just the "real work" from an expert who lays bare the inside secrets of how to hypnotize easily and discretely. Not to be used for any illegal purposes. 1st edition 1961, 36 pages.